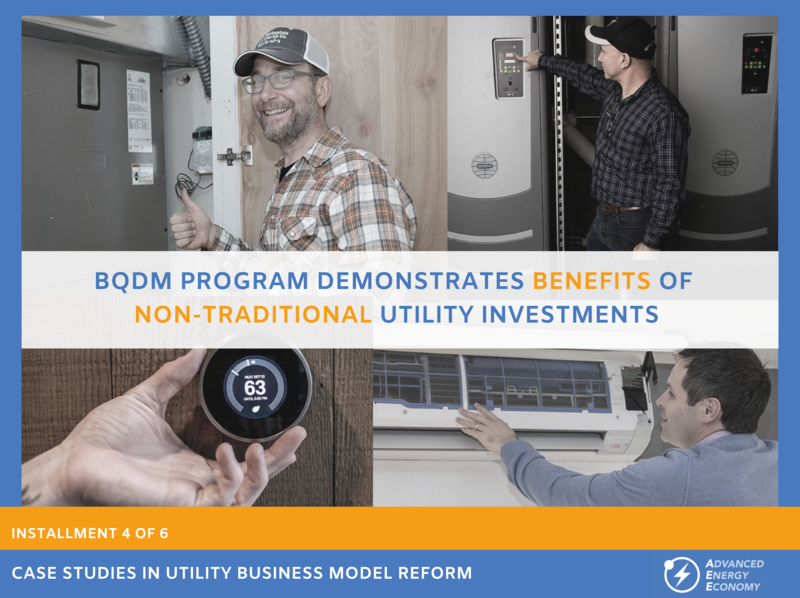 This is the fifth in a six-part series on utility business model reform provided by Rocky Mountain Institute, America's Power Plan, and Advanced Energy Economy Institute, originally published by Utility Dive. Technologies are quickly advancing, providing a wide array of industries from transportation to healthcare to financial services with tools to modernize their products and services, while utility regulation has struggled to keep up. A key stumbling block is that many solutions are only offered as services rather than capital investments that a utility owns and operates. Utilities earn a rate of return on capital equipment, such as poles, wires, transformers and on-premise IT systems. By contrast, operating expenses, such as salaries, maintenance and payments for services, come out of a limited budget, so utilities manage these expenses to avoid overspending and eroding their earnings. The net effect is a significant disincentive for utilities to procure service-based solutions provided by private advanced energy companies. 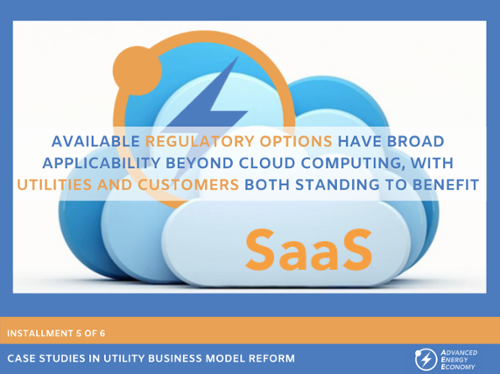 This limits utilities from taking advantage of many new technologies that are solely offered through service contracts, such as cloud computing, since these services displace an earnings opportunity. In order to encourage utilities to make IT investments that are in the best interests of both them and their customers, two states — New York and Illinois — have looked at changes in how cloud services are treated for accounting purposes. These accounting innovations could potentially be applied to other utility needs that could be met more cheaply or flexibly as services than as capital assets. This is the third in a six-part series on utility business model reform provided by Rocky Mountain Institute, America's Power Plan and Advanced Energy Economy Institute, originally published by Utility Dive. 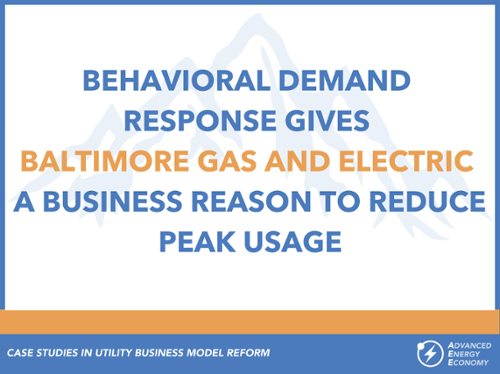 Incentives under the traditional cost-of-service utility revenue model are fundamentally misaligned with the implementation of energy efficiency programs. 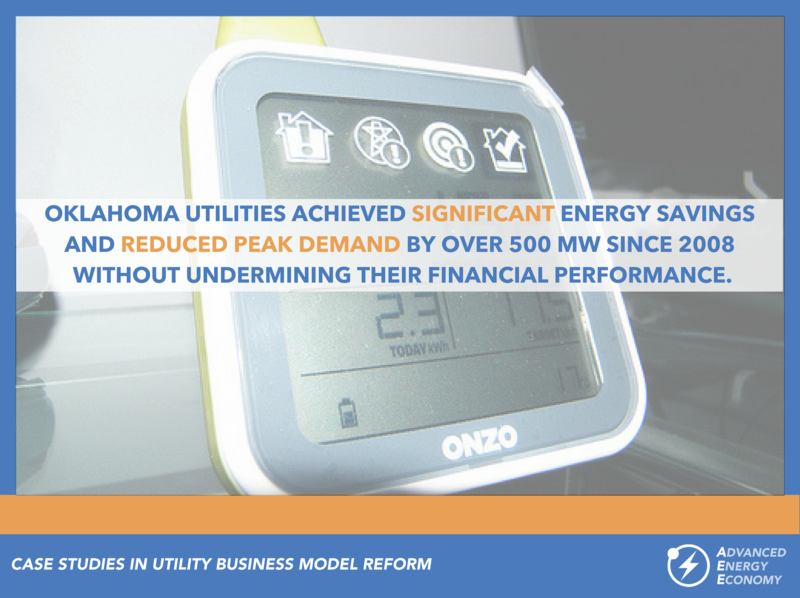 This is because, traditionally, utilities collect revenues based on the amount of energy they sell, whereas energy efficiency programs attempt to reduce energy consumption, thereby reducing utility revenues and profits. This is the second in a six-part series on utility business model reform provided by Rocky Mountain Institute, America's Power Plan, and Advanced Energy Economy Institute, originally published by Utility Dive. At most times of the year, much of the electricity generating capacity in the United States stands idle. That's because the electric power system is built to handle demand at its peak — those few sweltering summer days when everyone's AC is running full blast. What utilities pay for power at those times of peak demand drives up the price we pay for electricity. In fact, approximately 10% of infrastructure investments in the United States focus on serving demand in just 1% of hours of the year. This leads to the question: are there more efficient ways to manage this demand — and make it in utilities' business interest to implement them?